Like every year, the 38th Annual Rotary Street Festival is approaching! 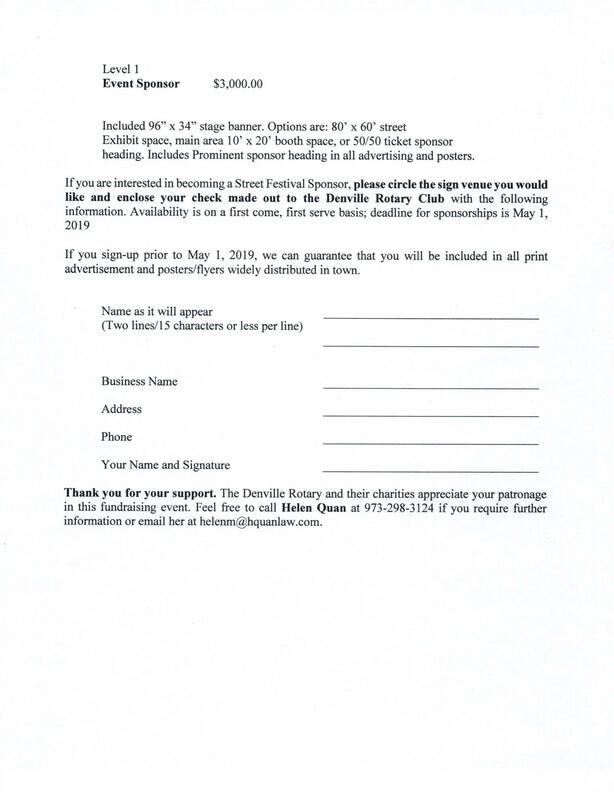 If you are interested in sponsoring for this year's Street Festival, please see included letter with the information about sponsorships. An attached copy of the document is at the bottom of this page, under HOME PAGE DOWNLOAD FILES. There, you will also find the application for professional/service vendors, the application for Arts and Crafts vendors, and if you are a food vendor, please contact Patricia Agliata directly at 973-265-1242 (FOOD VENDORS ONLY). Thank you. 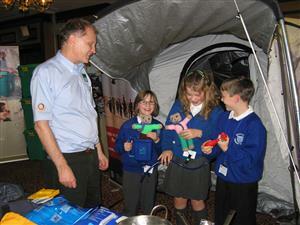 Why did I join rotary? That is a great question. 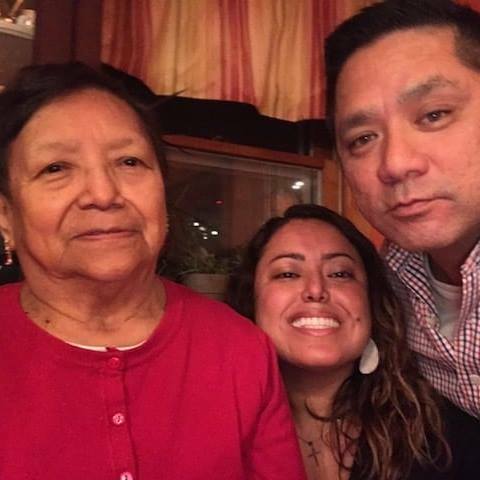 I was away from New Jersey 8 years while I was finishing my law degree, and the moved to Maryland to practice law, but I knew that eventually, I would make it back to New Jersey. Finally, when I moved back, I didn’t have many professional acquaintances, so I was looking to join an organization, but giving back was always something important for me, so I wanted to find an organization that could do both things. And it so happened that when I went to open my bank account for my firm, I met my banker, Luke, who was a member of Rotary and had told me that there was another fellow attorney that I should meet, especially since I didn’t really know many professional people and was new to the area. He introduced me to the current President-Elect, Janet. Upon meeting with Janet and her telling me more about Rotary and the Street festival and realizing how much Denville Rotary does, I took an interest in coming to a meeting to check it out. It was from there that I decided that I wanted to get involved. Sadly, I don’t think many people know what Rotarians do, and most think that we are a business organization and that we get paid. 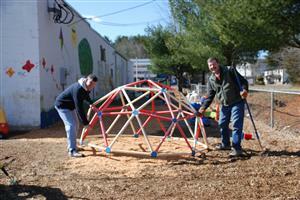 But we don’t, all of us are volunteers who donate our time and efforts in trying to help better the world. SANTALAND OFFICIALLY OPEN!!! All are welcome! Denville Rotary has partnered with the Denville Township Police Department to bring Police Trading Cards to Denville. Officers of Denville Rotary, Mary Radicsh, Rita Ambrosi and Betsy Roberts, presented the idea to Police Chief Christopher Wagner in late September, 2016 and were met with great enthusiasm and support. Chief Wagner indicated he wanted to make the Trading Card Program available but had not yet found a vehicle to do so. The perfect partnership was formed. The program is well underway. Officers have submitted their biographies, all officer photos have been taken by Jody Johnson of Glide by JJ and an exciting kickoff event is being planned. 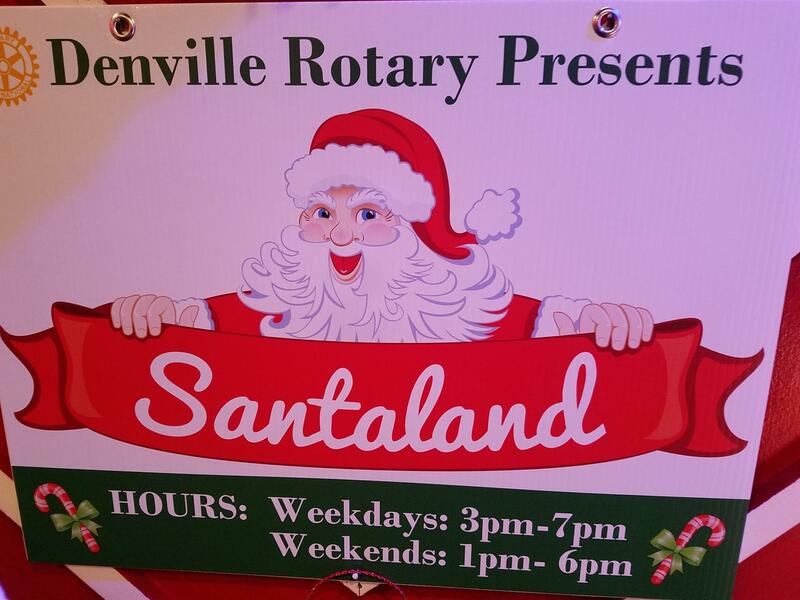 DENVILLE ROTARY SANTA LAND TREE LIGHTING CEREMONY....Followed by the Santa Land Official Opening Day, November 27, 2016 3pm. The Memory Switch by Matthew Goerke. With the beginning of another school year, the Rotary Clubs of Denville are again prepared to distribute dictionaries to all Township third graders on Tuesday, September 13, 2016. 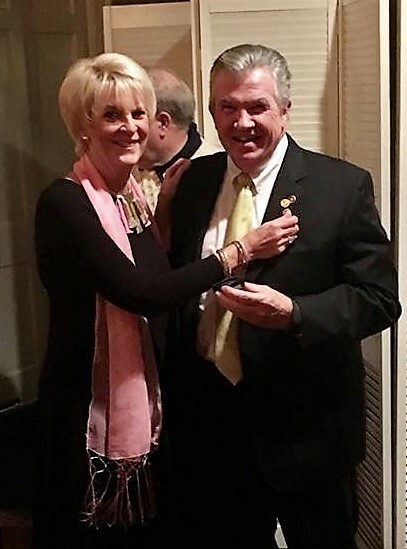 Marget Rahill, District Governor. Is stopping by for a visit this Thursday, August 11, 2016. We are excited to have her come. 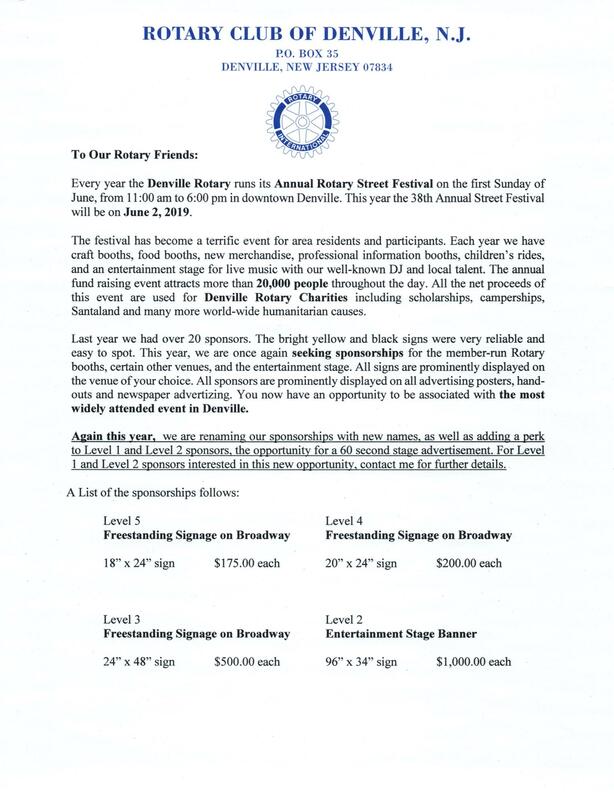 The Rotary Club of Denville is well on its way planning the 35th Annual Denville Street Festival scheduled for Sunday June 5, 2016 from 11:00 am – 6:00 pm. This event will be RAIN or SHINE! 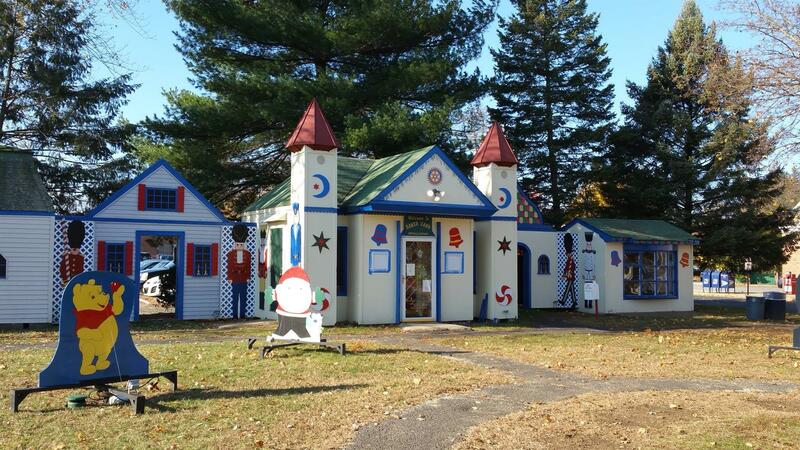 For 35 years, the Denville Rotary has produced the Premier Street Festival along the beautiful tree-lined streets of this lovely, old-fashioned town located in affluent Morris County. The town is filled with quaint shops, cozy restaurants, and spas. 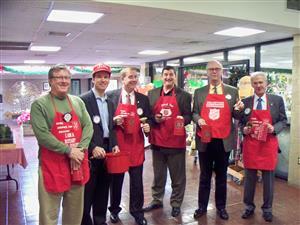 This event draws people directly from three bordering counties, as well as New York and Pennsylvania. We provide an enjoyable, high quality experience for the whole family, including live music, Beer Garden, 50/50 Ticket sales, rides, gourmet foods such as fresh seafood served at an outdoor cafe, and many other crowd-drawing activities. Admission and Parking is free. Our thorough advertising provides coverage in many newspapers, storefronts, TV, radio, internet, and flyers along busy street intersections. This event boasts an enormous attendance of 20,000 plus! The wide streets provide for easy driving up and unloading. All proceeds from the Street Festival will be applied to local, national, and international Service Projects and Charitable Endeavors. TO Download Applications for 2016 PLEASE SCROLL DOWN TO THE BOTTOM OF THE PAGE! tHANK YOU.